Fig. 1—Gabriel, McKibben. (Dec. 26, 2018). Trump exposes Queen Elizabeth’s secret plan to take over the world. American Intelligence Media, Americans for Innovation.https://youtu.be/9H7mkR1z_n0 | (Raw *.mp4 raw video). 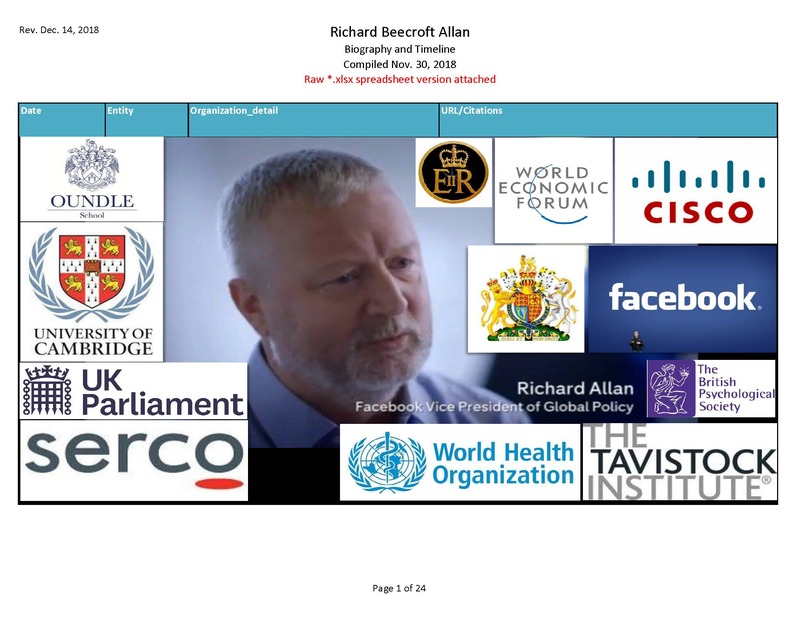 Citations: Most of the citations supporting Richard Allan’s profile are contained within the biography and timeline available here. The C.I.A., with help from Facebook Baron Richard Beecroft Allan’s grandfather, organized stay-behind paramilitary units in each Allied country and others after WWII that re-purposed Tavistock’s mass mind control methodologies to promote fascist profiteering from terror via perpetual war and the cattle herding of public opinion. This is how the military-industrial complex sustains its power and wealth—by cheating and mass deception. “Conspiracy theory?” Well, did you know that this phrase itself (along with “vast right wing conspiracy theory”) is one of the Tavistock psychiatrists’ most durable mass mind control creations? It was first used to hide the rogue C.I.A.’s assassination of President Kennedy, and the rapid expansion of post-war U.S., British and Commonwealth stay-behind paramilitary cells led by the first C.I.A. director Allen Dulles. “Conspiracy theory!” continues to be a durable ruse to hide great sin. The sooner we stop giving it control over our psyche, the sooner we can raise our level of consciousness. Let’s put this evil psychiatrists’ meme on the dustbin of history. From 1941-1945, Tavistock was managed out of the British War Office with the intent to destabilize Germany, manage and train the British military, and to try and improve public morale. Churchill thought their techniques were too intrusive and unnecessary to run the war and the media. To get back at Churchill for openly opposing their psychiatric techniques (borrowed from the pre-war German Kaiser Wilhelm Institute), Tavistock successfully turned public opinion hard left, progressive, and against Winston Churchill’s re-election in 1945. “Out of touch.” “Unhinged!” “Global warming!” “Racist!” “Latent Racist!” “Toxic masculinity!” “Bitter clingers!” “White privilege!” “Pro Choice!” “Xenophobic!” These are all Tavistock creations in play as we speak. Evaluate the thoughts going through your head as you read these phrases. They are probably emotionally charged and called by the Tavistock psychiatrists: “inner directional conditioning.” Once implanted, they are difficult to un-embed, even in the face of contradictory facts. 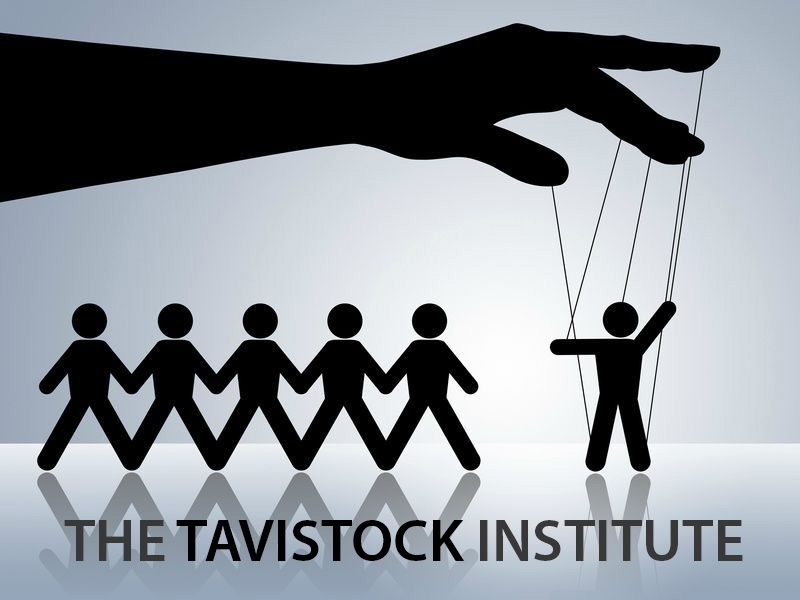 In 1946, Rockefeller, Rothschild and the British royals—eager to benefit from Tavistock’s ability to herd an unsuspecting public—hurriedly funded and privatized The Tavistock Institute. They also wanted to continue the eugenics priorities that they still shared in common with the defeated Germans. Bottom line, they are all fascists to the core. Tavistock’s previous name, The Wellington House, had prodded a reluctant British public into World War I with lies of the Kaiser murdering Belgian children. Thousands of German eugenics scientists from the Kaiser Wilhelm Institute were brought in to Tavistock (and the C.I.A.) after the war to continue their work. This was confirmed by the Church Committee Congressional hearings in 1976. Hedge funds like George Soros’ use these techniques to herd markets up and down at will. Fig. 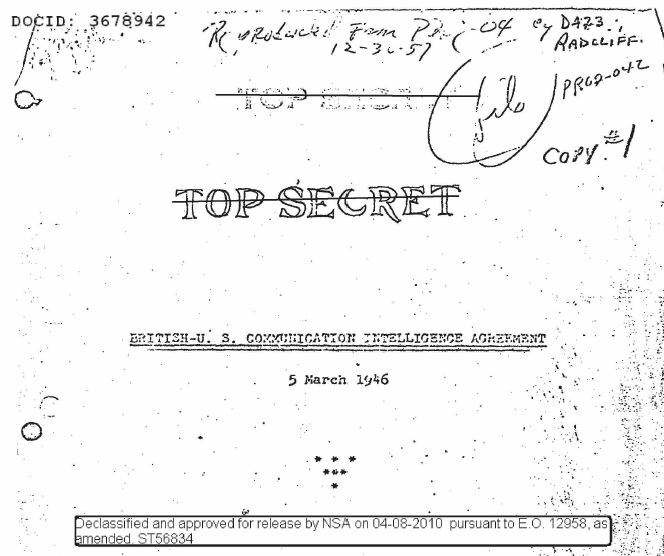 2—British-United States Communication Intelligence Agreement. (Mar. 05, 1946). History Collection, NSA, Series XILH,. Box 47 (TSC), Declassified and approved for release by NSA on Apr. 08, 2010 pursuant to E.O. 12958, as amended ST56834. DOCID No. 3678942. National Security Agency. 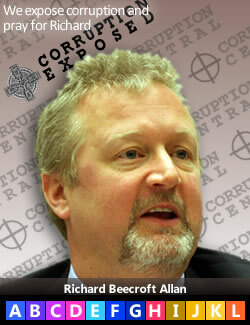 (4) Baron Richard’s current work to combine covert C.I.A. intelligence activity and Tavistock mass media mind control with social media technologies through Facebook. WHO’S YOUR DADDY BARON RICHARD? A central figure in Baron Richard’s spy lineage is his paternal grandfather, Frederick Leonard Allan, M.C., M.B.E. Forbes was director general of the British Council (1946-1954)—a leading post-war spy agency, chairman of the National Industrial Psychology (1947-1952), the Institute of Education at University of London (1948-1967), the Library Association (1949), the Institute of Adult Education (1949-1964), and chairman of UNESCO (1957-1960). In short, Forbes, and grandpa FL Allan, spent their post-war careers spreading The Tavistock Institute’s leftist, progressive, eugenics mind control model in education, industry and politics around the world. This propaganda outlet (later renamed Tavistock Clinic and then The Tavistock Institute of Human Relations) broke down the stiff public resistance to going to war with their royal brothers and sisters in Britain and Germany. During World War II, Tavistock was the headquarters of the British Army’s Psychological Warfare Bureau which, through arrangements with the British Special Operation Executive (SOE) (later known as MI6), Tavistock dictated policy to the United States Armed Forces in matters of psychological warfare. Tavistock’s chief theoretician, Dr. Kurt Lewin, came to the United States to organize the Harvard Psychological Clinic, the MIT research Center for Groups Dynamics, the Institute of Social Research at the University of Michigan; while his colleagues, Cartwright and Cantrill joined him to play a pivotal policy role at the psychological department of the Office of Strategic Services (OSS) (now C.I.A. ), the Office of Naval Research ONI), the U.S. Strategic Bombing Survey and the Committee of National Morale. Baron Richard’s family relationships to the Mercers (City of London UK) and the Scottish Rite Masonic Orders will be explored later. It is well known that the Queen’s Privy Council, British banks, the Rothschilds, the Rockefellers and the Mercers are tightly aligned with the rogue C.I.A. and the Senior Executive Service (SES) in the US. Table 1: Richard Beecroft Allan’s family tree. Fig. 3—Richard Beecroft Allan. (Compiled Nov. 30, 2018). Biography and Timeline. Americans for Innovation, American Intelligence Media. (Raw *.xlsx spreadsheet).